" There are no ugly women in the world, only lazy ones "
I dyed my hair in brown color, i have to use color protecting shampoo to maintain my brown color. 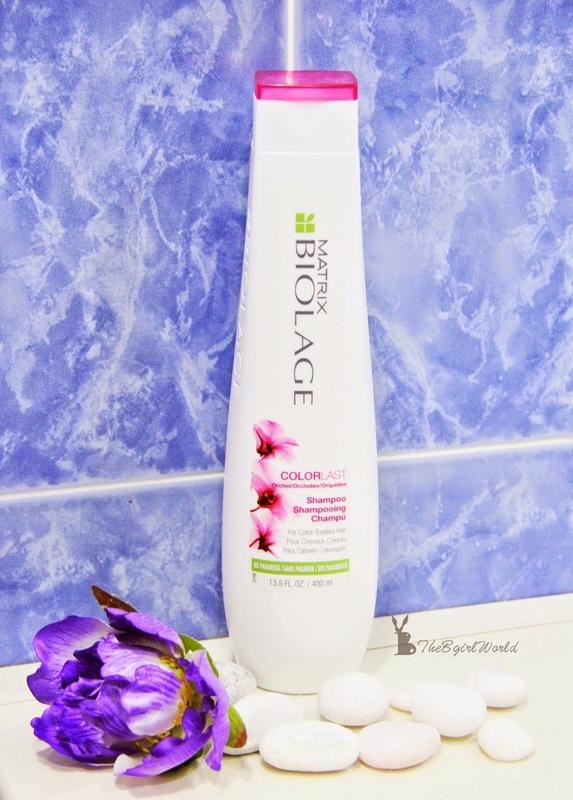 Matrix Biolage Color Last shampoo inspired by the anti-fade properties of the vibrant Orchid with low pH, purifies as it helps prolong color vibrancy, shiny, protect hair and balance moisture. Hmm.... feels good with it's nature smell. Besides the shampoo, there are also conditioner and mask under Color Last range. Click HERE for more details. After shower, it's the best time to do mask. Face masks play important role in maintaining a healthy and glowing skin, i apply face mask at least twice a week. I need it badly because i am a baker, skin always dehydrated after my work and face mask is the best to solve my problem urgently. 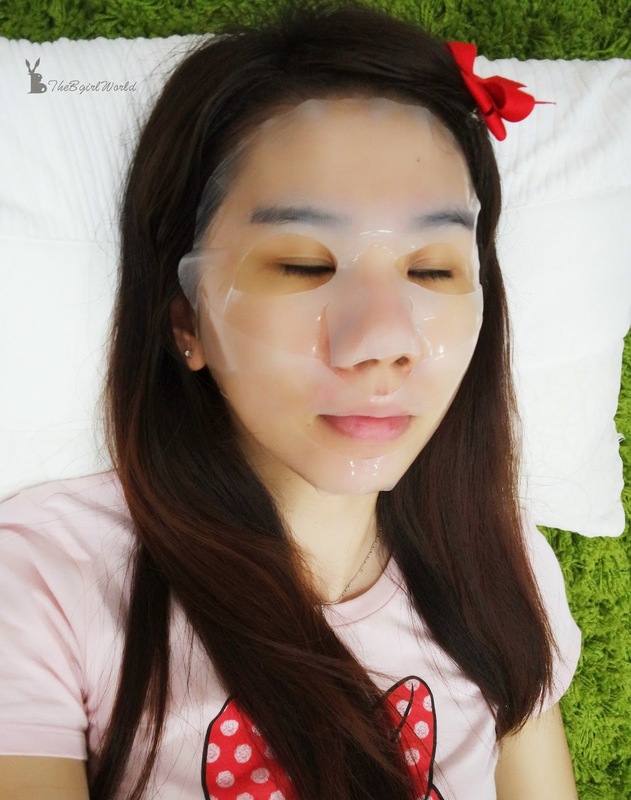 Sheet masks have been trending in Korea for quite some time now and they're finally gaining popularity around the globe. 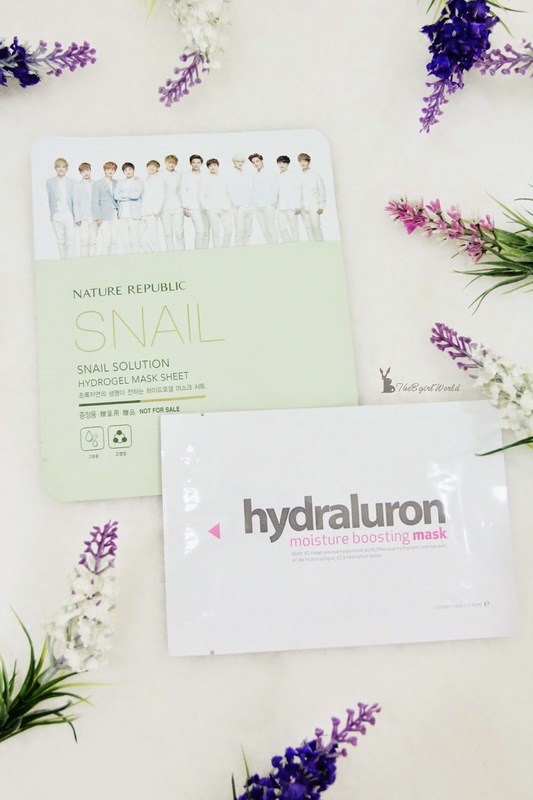 Nature Republic Snail Solution Hydrogel Mask Sheet is one of my favourite,are you wondering why i said so when i just tried one piece only? Actually i bought this during my Korea trip, guess what? i bought 100 pieces, can use for a year LoL! 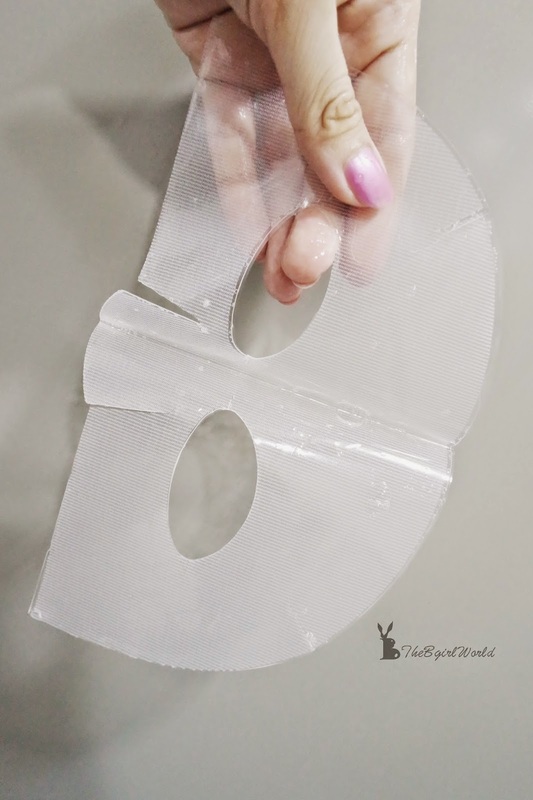 I love to use gel mask sheets because instant effects they have in regards to deep hydration,skin brightening, soft, firm skin. 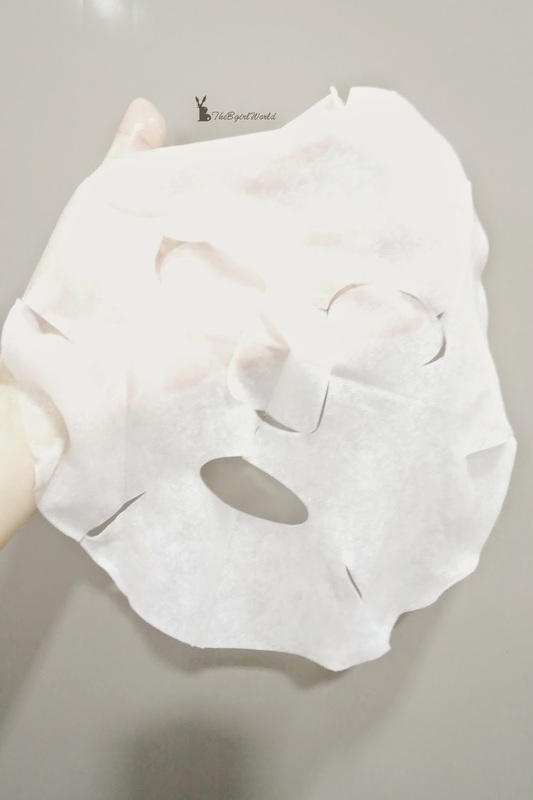 Gel mask sheet can allow your skin to absorb the essences and lock in the moisture effectively. 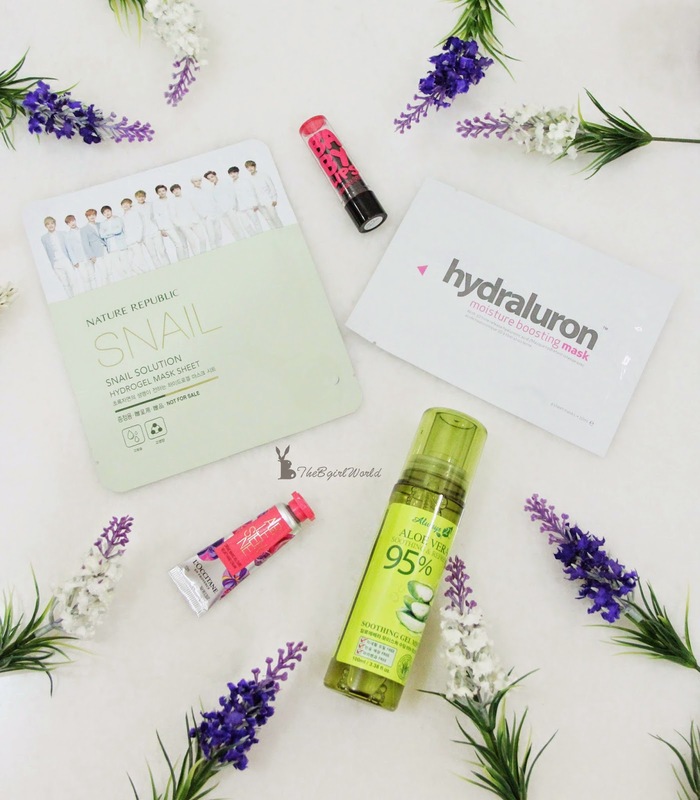 Tried another brand mask in the Beauty box in the next day, this is Hydraluron moisture boosting masks.Product description: use a breakthrough next generation 3D timed release hyaluronic acid to provide the perfect solution to dry, dehydrated skin. Hydrate your skin from beneath the surface for 24 hours of long lasting moisture retention. With each use skin feels softer, smoother, plumped and glowing. My first try on Always 21 Aloe Vera Soothing Gel Mist, i bet 3 out of 10 girls have face mist in their bags only. Yeah~ Malaysian doesn't like to buy face mist and they don't think this is necessary. Our country being hot and humid throughout the year, we actually need face mist to soothing our face and refresh our makeup. 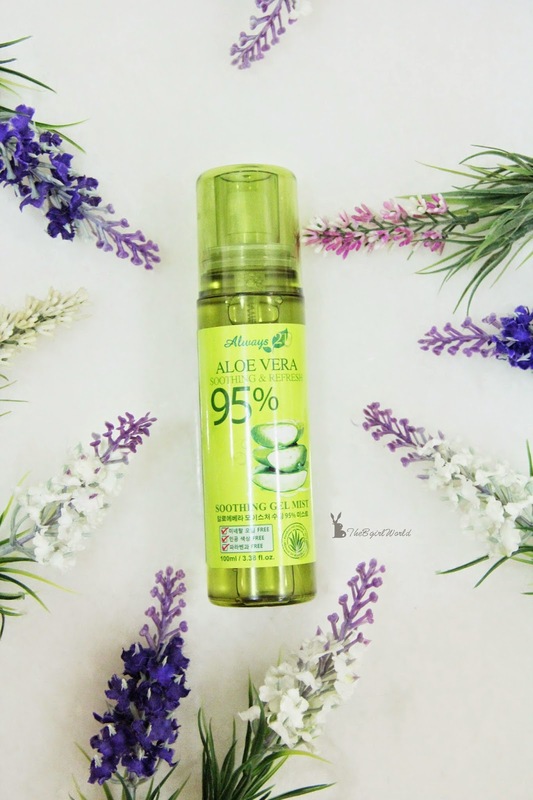 Always 21 Aloe Vera Soothing Gel Mist is a refreshing and cooling face mist, it can soothing and change the appearance of your skin instantly. Keep it into your bag so you can use it anytime, but please don't leave it in your car under the sun ok? 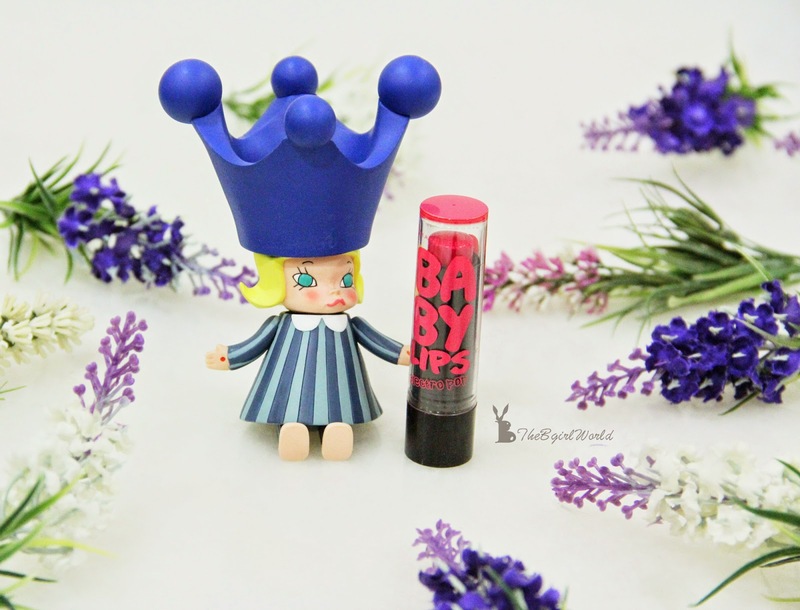 My Maybelline Electro Baby Lips color is pink shock, it is not a basic lip balm. 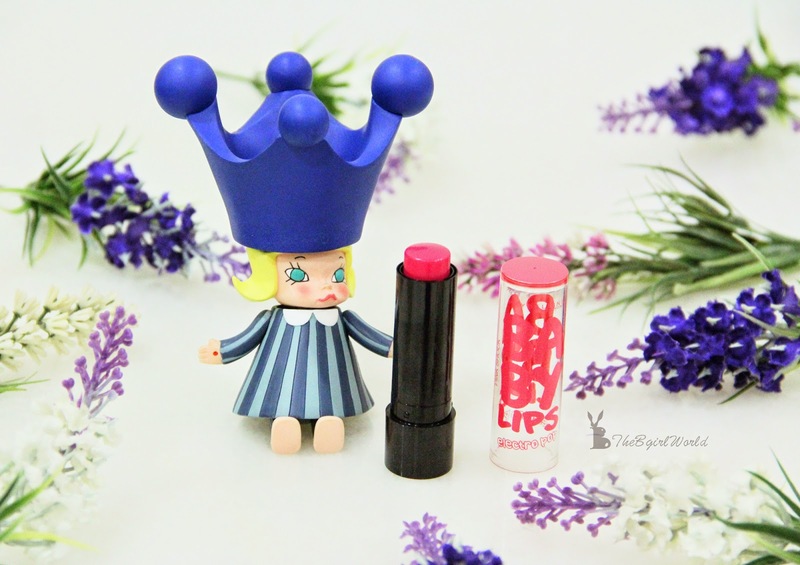 It provides up to 8 hours Hydration with a Neon electric color pigments lips. This is my beauty regime and what about yours? Do it now if you don't have beauty routine before! Come on, don't be a lazy girl!